Hollywood has returned once again to celebrate their overwhelming achievements of 2010. As always there are plenty of notable omissions from the nominee list, but we can discuss why The Last Airbender missed out on Best Original Screenplay (besides its obvious flaw off being an armpit of of movie and further evidence that M. Night has never actually watched his own movies, or else he would stop making them) at a later time. Right now we need to focus on those that earned nominations … well at least the nominations we care about. I mean Best Foreign Language Film? What am I? Some sort of reading scientist? Anyway, these are my picks for who I think will win. I may hedge a bet and say who I want to win at some point, but I will decide when I get there. I think this film is tailor made for BP. 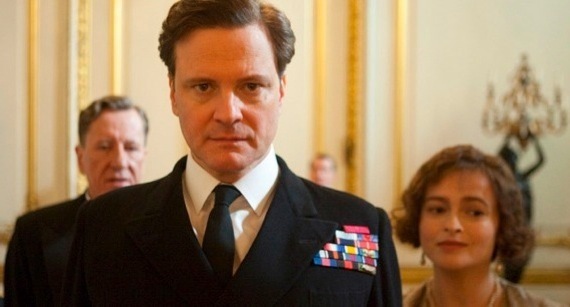 It has an outstanding performance by Colin Firth, historical context, elegance of costume design, the sets were amazing, the cinematography, while not mind blowing, was beautifully structured in its commitment to geometric integrity. While my preference would be to see a Black Swan/Aronofsky combination win (I believe the journalistic term to what I have just done is I have given myself “wiggle room”), I think The King’s Speech will take home the night’s top prize. And while I would be more than joyous if Black Swan took the gold man home, that does not make Tom Hooper’s effort any less deserving in my eyes. It was a great film and a worthy winner.